Copyright : This item is reproduced courtesy of Advertiser Newspapers Pty Ltd. It may be printed or saved for personal research or study. Use for any other purpose requires written permission from Advertiser Newspapers Pty Ltd and the State Library of South Australia. To request approval, complete the Permission to publish form. 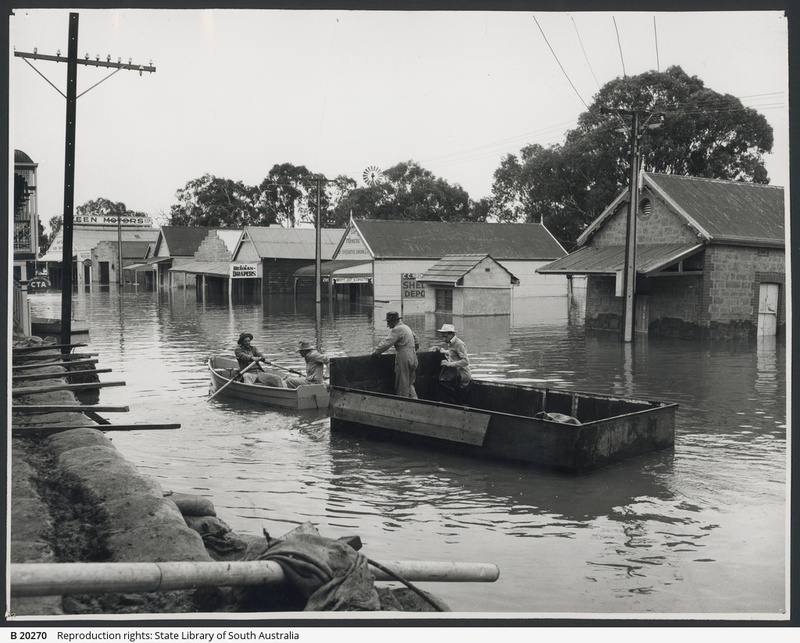 Murray River floods at Mannum, 30 July 1956.